Kerry Washington knows just how to celebrate her Emmy nomination: by going to work. "I just feel more indebted to them than ever before," the 35-year-old actress said Thursday as she prepared to meet the show's cast and crew to run through the first script of the new season of "Scandal." "I'm really excited that I get to see them and thank them today, because there's no way you can pull off playing a character like Olivia on a show that spans 22 episodes without having real gladiators in the trenches with you." Washington was nominated for lead actress in a drama for her portrayal of high-powered political strategist and soft-hearted incurable romantic Olivia Pope. The actress is among only five non-white acting nominees in the field of 96, and the first black actress to compete in the lead dramatic category since Cicely Tyson was nominated in 1995. If Washington wins when the Emmy Awards are presented in September, she will be the first black actress ever to do so. While she declined to address the history of the Emmys, she called the recognition "wonderful." "I feel really excited and proud to live in a world where a show that embodies so much diversity on so many levels -- because our show is so diverse with regard to race and ethnicity and gender and sexual orientation -- that a show that really celebrates inclusivity is able to be such a success both in the U.S. and overseas," she said. "That's something that I'm really proud to be a part of, and I'm proud to be a citizen in a world where that's possible." The nomination comes at an exciting time in Washington's life: She's also a newlywed, marrying professional football player Nnamdi Asomugha just last month. 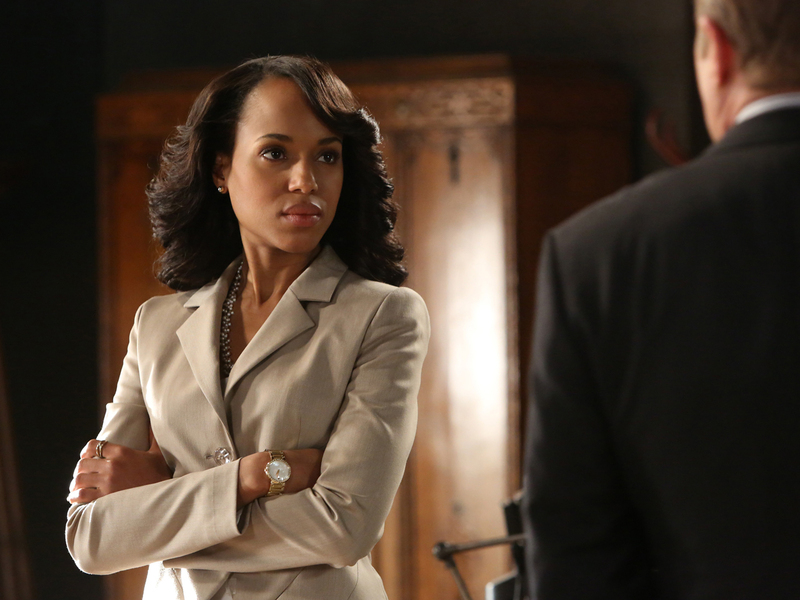 But Olivia Pope, with her often messy personal life, is the kind of character an actress dreams of playing. "She is so inspirational but also really, really flawed," Washington said. "There are qualities about her that you want to have, but there are also qualities that you just think, 'Oh honey, if we were friends, I would send you to a really good shrink.'"